Oldest Tarot Cards. Origin of Tarot. Research of the history of Tarot. The deck must have been produced between 1417 - 1425. We favour the date 1424-1425 for special reasons. Various persons: Filippo Maria Visconti commissioned the book and deck, Michelino da Besozzo painted it and Martiano da Tortona wrote an accompanying manuscript. Decembrio in 1447 reported the event, Marcello was interested in 1449 (?) by Scipio Caraffa and got book and deck and did send both by Giovanni Cossa to Rene d'Anjou and Isabella, queen of Lorraine. Around 1470 Polismagna translated the text of Decembrio and used the word Trionfi, a word, which already was used by Marcello, but not by Decembrio. Stuart Kaplan presented 2 notes about the Michelino deck, which weren't connected (1978). Franco Pratesi revisited the documents in 1989 and found, that both do relate to the same object. He published at the magazine of IPCS, which didn't reach much people. In the internet only a single small article by tarothermit.com reported about Franco Pratesis article. In 2003 we presented a first longer representation of the related material and it is updated now with additional results of younger researches. Pier Candido Decembrio wrote in August/September 1447 his "Vita di Filippo Visconti", immediately after the death of this duke of Milano one month before. In this text he notes, that Filippo Maria Visconti commissioned a deck for the unbelievable high prize of 1500 ducatos. 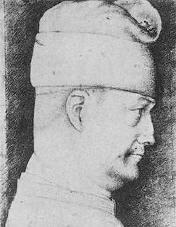 Filippo Maria Visconti, duke of Milano and perhaps the richest man in Italy in the early renaissance, had a fatal disturbance in his youth. His father Giangaleozzo on his way to become king of Italy was poisoned and died, when Filippo was 10 years old. The mother was killed by his elder brother in prison. The dukedom broke in pieces and his cruel brother was assasinated some years later. With the help of his wife Beatrice de Tender, a 20 years older widow of the condottieri Ficino Cane, Filippo as new duke of Milano restored the earlier possessions, but the relation to the much older woman ended in tragedy, Filippo accused her of adultery and she ended beheaded. In 1424/1425 Filippo was at the height of his success. He was very successful at the battlefield and the earlier power of the Milanese dukedom had redeveloped. His mistress was expecting a child, this was a great relief, because Filippo had reason to believe that he could not have children. He prepared a Triumph celebration ("Trionfo") to show his pride and joy in the coming birth. Time advanced and already in the same year 1425 a war between Venetia and Milan broke out and occupied the militaric energies of the North Italian cities for the next 30 years. In 1453 Constantinople was conquered by the Osmans, the questions for help stayed more or less unheard in all the years. Around the time of the fall of Constantinople the socalled Trionfi cards became a successful game. In 1454 the Italians cities decided for peace. The wonder of the renaissance could take place, printing industry entered and the knowledge in the European world exploded. The Trionfi decks developed and were later called Tarot cards. It seems, that playings cards found a new interest in the 20ies of early 15th century in Italy, probably due to influences and imported playing cards from Germany. Probably the council of Constance caused much of this change in society. In 1449 a Venetian with important function inside the Venetian army fighting around Milano, Jacopo Antonio Marcello, wrote a letter to Isabella, queen of Lorraine. The letter is part of a parcel and in this 2 Trionfi decks are transported together with a manuscript. It's rather clear, that the Michelino deck includes the antique concept of the 12 Olympian gods. Also one may assume an influence of Ovid's Metamorphoses or Petrarca's focus on the figure of Daphne. A manuscript of Martiano da Tortona. Martiano da Tortona was called dead in 1425 - from this we know, that the object of his manuscript, a deck commissioned for Filippo Maria Visconti, should have been produced before this date. The deck with Greek gods was rather strange and didn't really remind a Tarot deck as we know it, but it is called by Marcello in 1449 a ludus triumphorum - and that's believed to be the early name for Tarot cards. 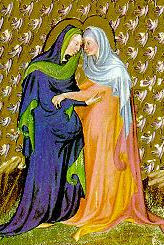 Martiano became by this the first Tarot book author. Filippo Maria Visconti was called an inventor by Marcello and Michelino da Besozzo is called the best paid artist at his time - a natural relation, cause Filippo can be counted as one of the richest persons in Europe in early 15th century.